I could have 15 different candles in my apartment and it would never be enough. You can only have certain scents in the kitchen, like lemon and other citruses. The bathroom usually calls for something linen-focused, and the bedroom candle should have some soothing elements, like eucalyptus and tea. Don’t even get me started on seasonal scents, I could fill my closet with fall and winter candles. 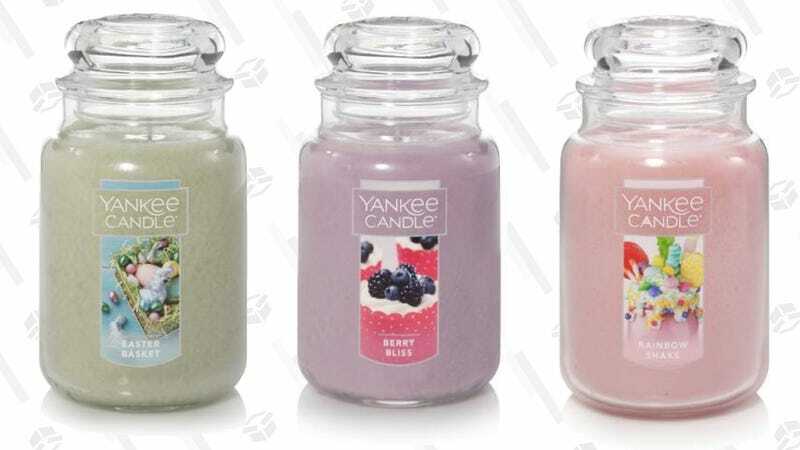 If you’re a candle fanatic like me, Yankee Candle is currently offering their Easter-scented large jar candles for just $10. As you may know, if you spend your weekends sniffing candles, the large jar is 22 oz. and typically priced at $29.50. These candles have a long life, with their burn time estimated between 110-150 hours. You can snag Yankee Candle’s Easter Basket, Berry Bliss, and Rainbow Shake scents for $10 using the code HOP10LG. Ana works as an editor, but her dream job would be making her senior Yorkie, Tyrone, Insta famous.